It's finally happening! Four months after its announcement, the Asus ROG Phone is finally confirmed to arrive to the UK just days after it went for pre-order in Italy. The company sent out invites for a November 15 event, which will mark the start of sales. 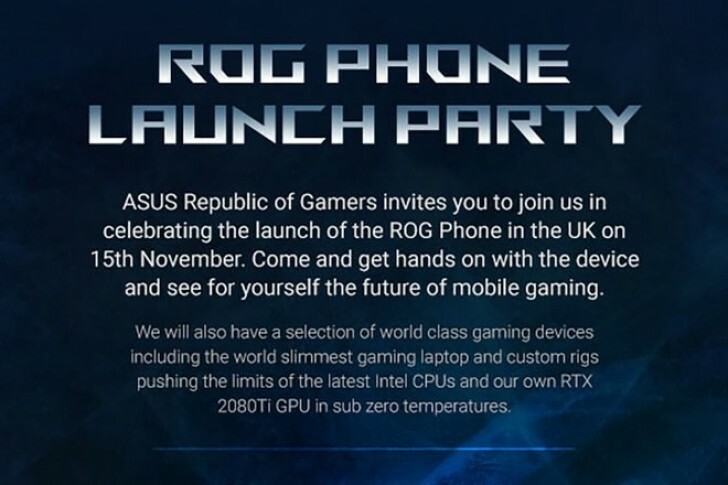 The phone will be showcased side by side with Asus' ultra-thin ROG Zephyrus M laptop and overclocked RTX 2080 Ti GPU from Asus' Strix-series of gaming hardware. As of now, the actual release date and pricing are yet unknown but according to recent rumors, we could expect a price tag of around £900. The preorders start tomorrow friday 15th in the uk for the asus rog phone from asus uk direct, preorders get £100 discount for a limited time only, after discount the price is £699 for the 128gb version.